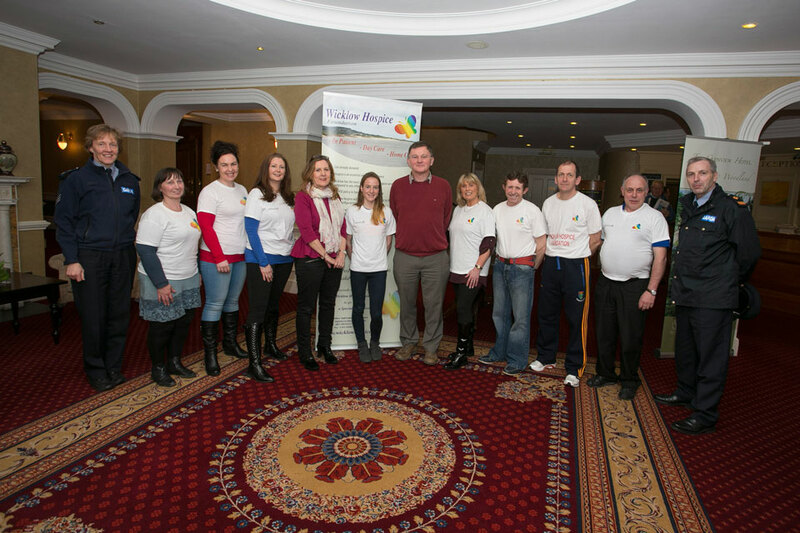 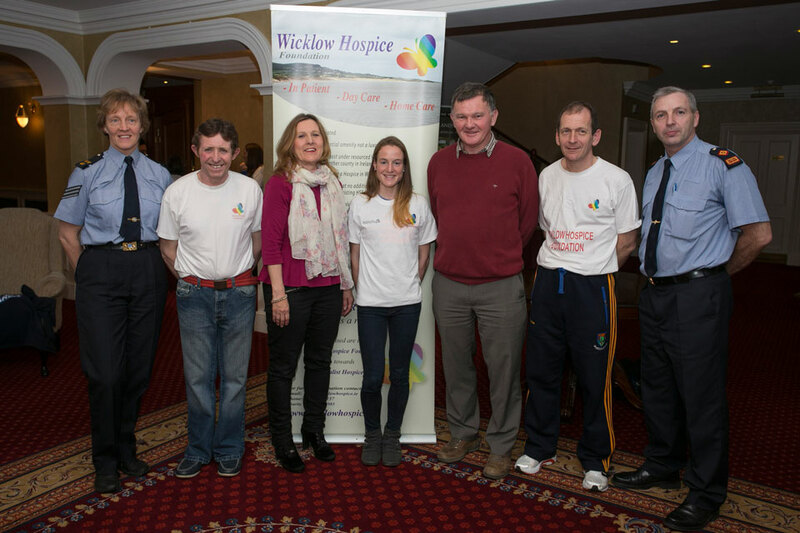 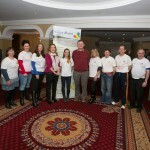 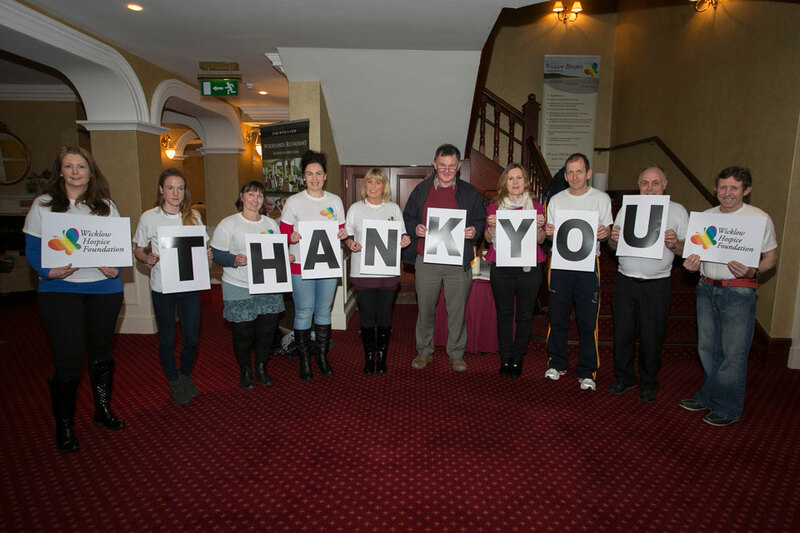 Superintendent Paul Hogan, Evanne Cahill,Ciaran Byrne, Michelle Hickey, Ann Mc Hugh, Billy Porter, Fionnuala Britton european cross country champion, Dr Brendan Cuddihy chairman of the wicklow hospice foundation, Bernie Burke and Sandra Doyle. 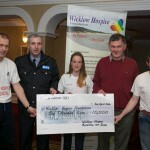 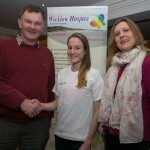 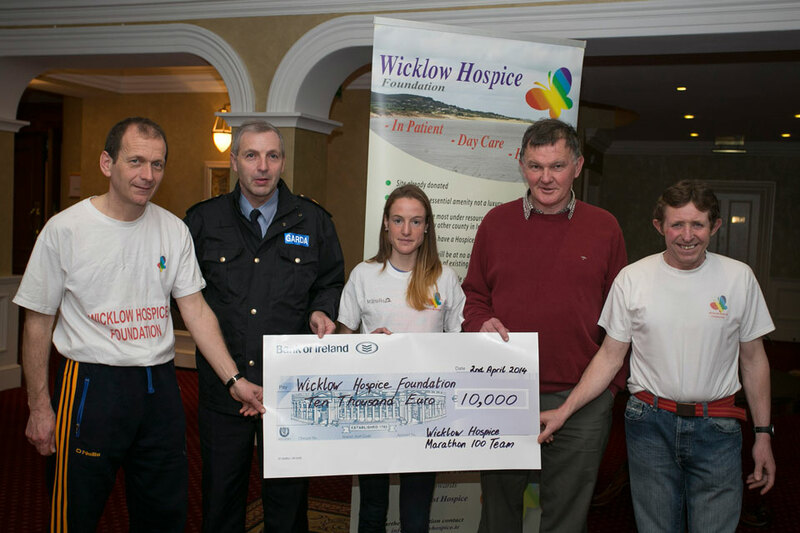 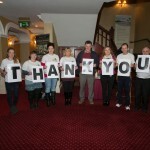 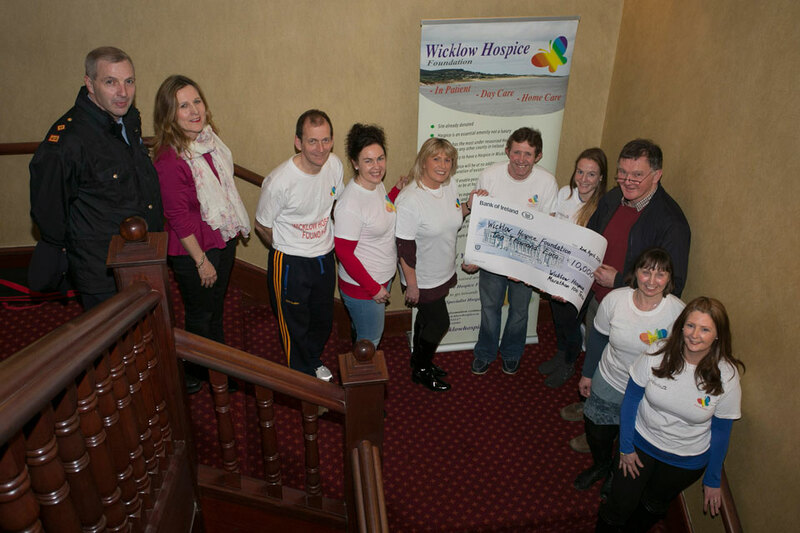 Dr Brendan Cuddihy chairman of the Wicklow Hospice Foundation receives a cheque for €10,000 from the half marathon and 10K which was held in Avondale House Rathdrum in February and was organised by the Wicklow Hospice team 100. 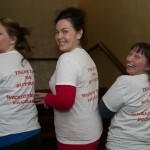 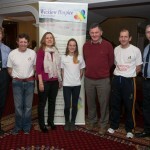 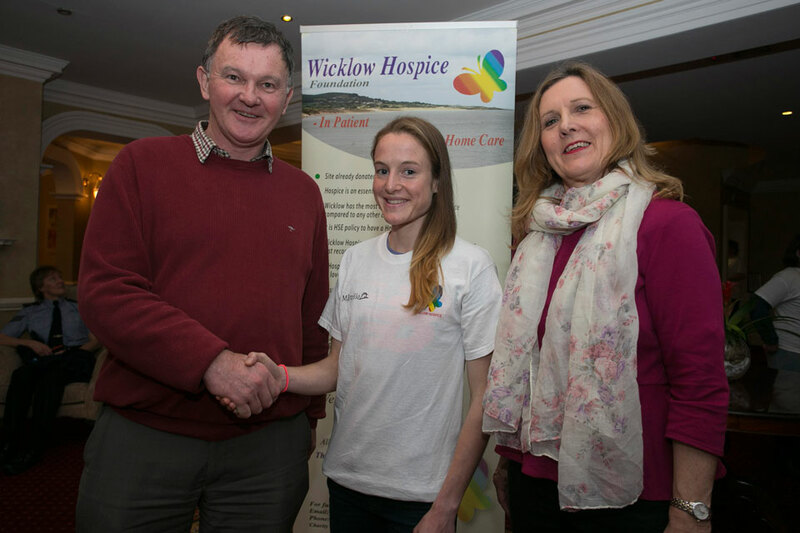 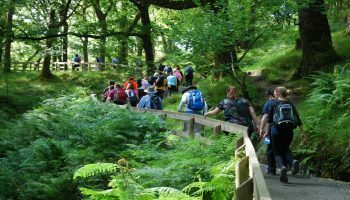 At the event, Fionnuala Britton, Olympian and two-time European Cross Country Champion, was named as a patron for Hospice, joining other sporting greats such as Katie Taylor and George Hamilton as spokespeople for the foundation.